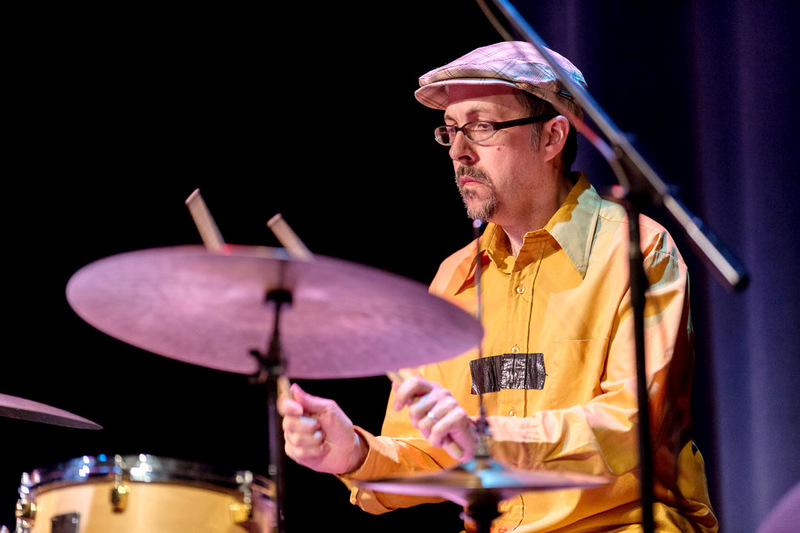 Drummer John Hollenbeck’s genre-defying quintet – bassist Drew Gress, saxophonist Chris Speed, vibraphonist Matt Moran and accordionist Red Wierenga – returned to Seattle Sunday night and played with with driving rhythms, quirky melodies and stunning virtuosity as the 2013 Earshot Jazz Festival ended its first weekend. 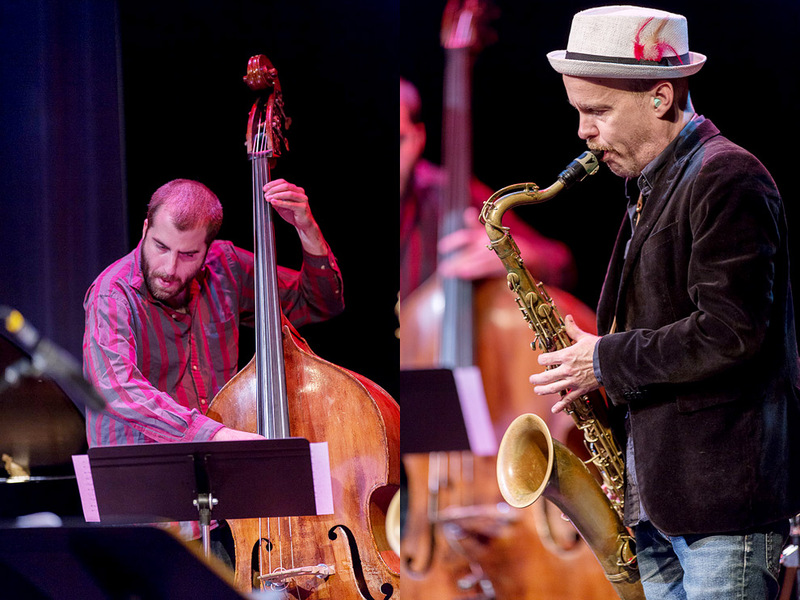 Composer and leader Hollenbeck launched Claudia as a band in the late 90s, with a sound determined by the compositions, instrumentation and these performers, whose exceptional artistry and character is revealed in Hollenbeck’s original compositions. 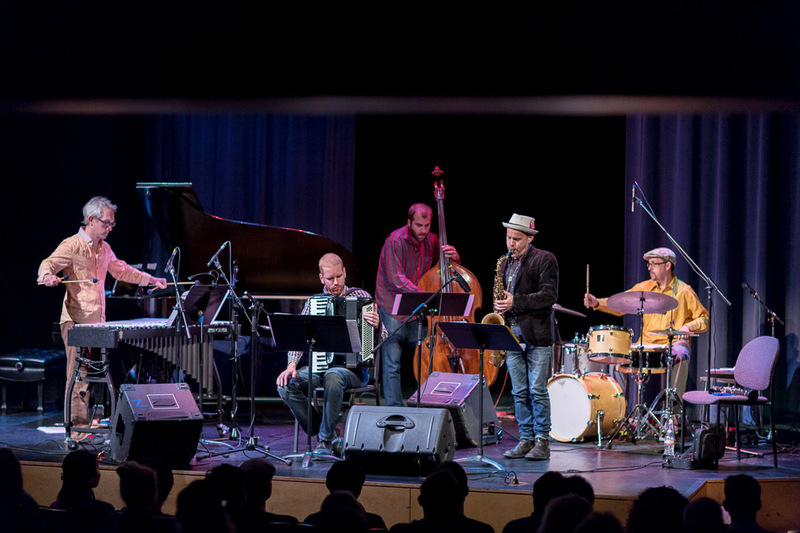 In the course of the hundreds of concerts and thousands of miles this New York City ensemble has traveled together, the Claudia Quintet has developed a dynamic live sound based on trust and spontaneity.